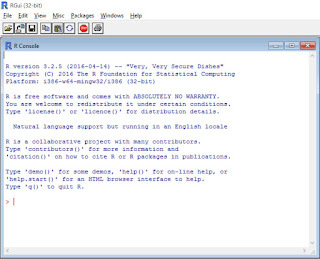 You may consider R as a big calculator running on different operating systems (Windows, Apple, Unix...). The original interface for R is too simple, so many interfaces are developed for different needs. I will introduce three interfaces of R for people from beginners to professionals. SPSS is probably the most popular point-and-click statistical software. 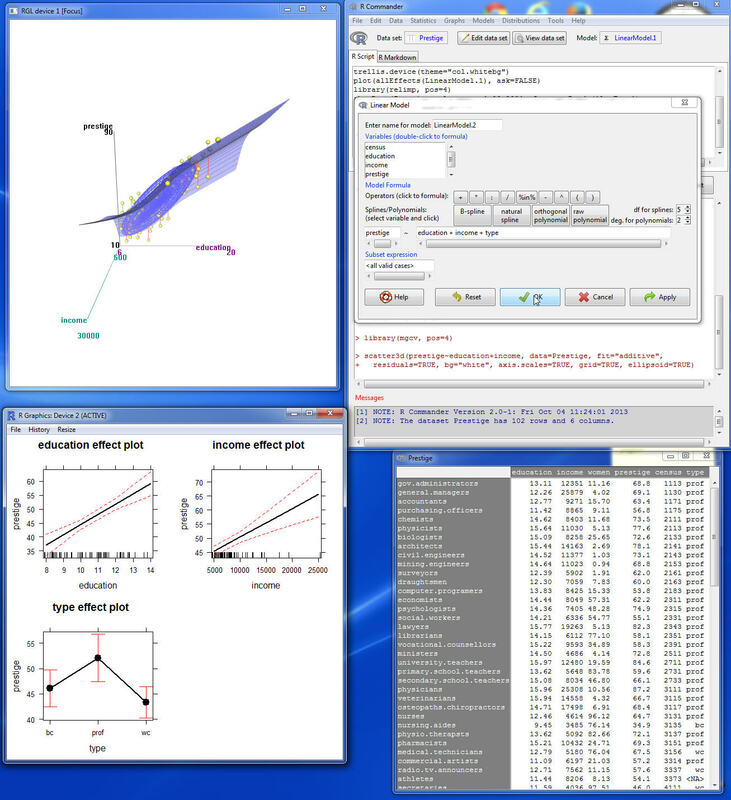 R commander has similar function like SPSS and is very suitable for SPSS users or R beginners. Some examples could be found in the book, Discovering Statistics Using R and the book, Using the R Commander: A Point-and-Click Interface for R.
If you still feel uncomfortable about using the unfamiliar interface, why not trying using R within Excel? 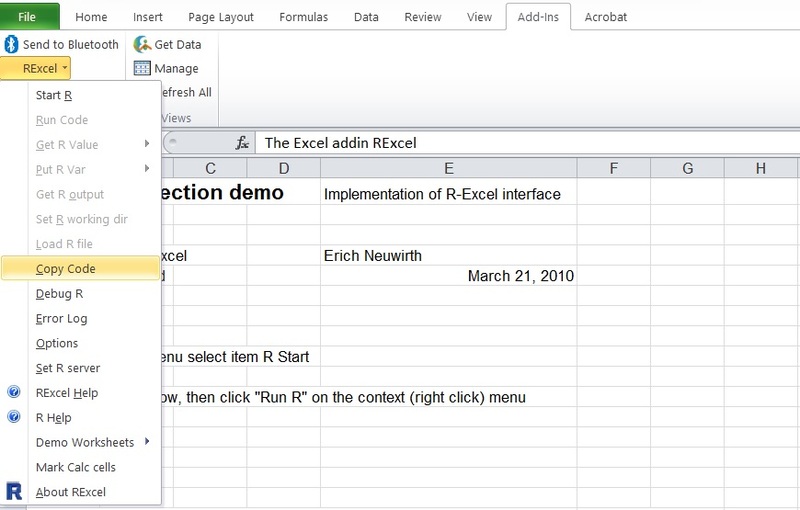 RExcel is just the add-in of Excel and you can use R to run more complex models just using Rexcel without seeing R. It also works seamlessly with R commander. 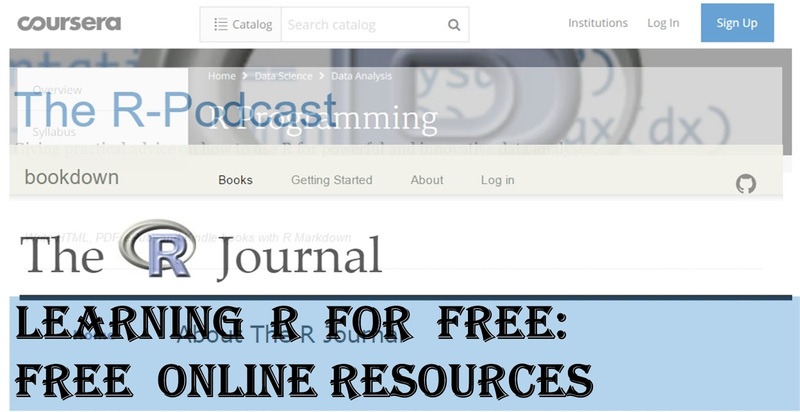 Check the book, R through Excel , for more details. 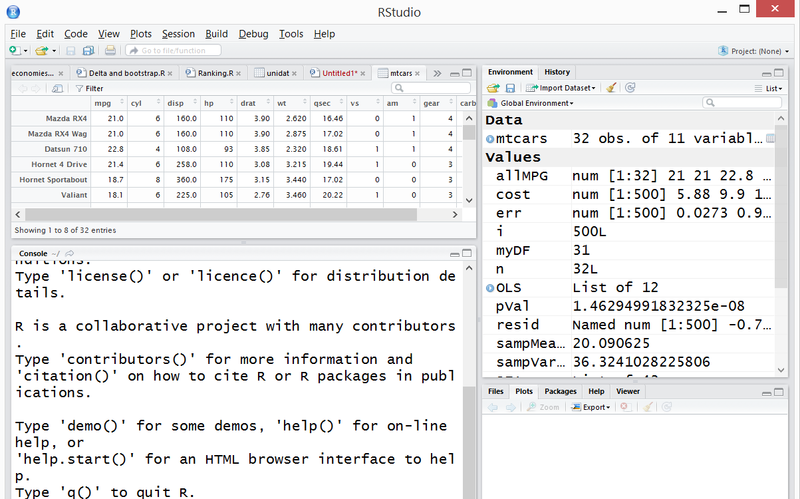 Once you are more familiar with R codes, Rstudio is a great interface for debugging and integrating all the materials together. Of course, some professionals prefer more functions like using colors to discriminate different codes. Another interesting function of Tinn-R is that it provides the function that let you copy the format of the code (including the color) for MS-Word like the following figure. 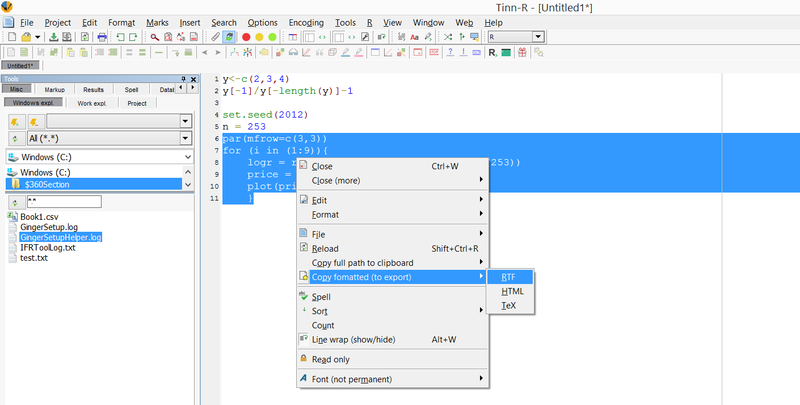 You can also try to use Sublime text. Page last updated on 22 June. 2018.